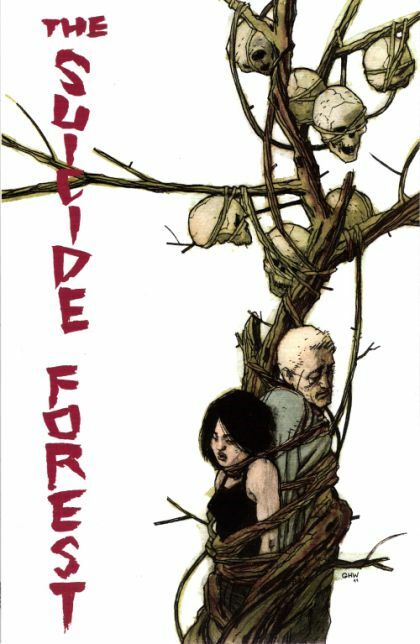 [From Comixology:] The legend of the Aokigahara forest (which lies just outside of Tokyo) says that those who have committed suicide in the massive wilderness are cursed to have their souls trapped within its very roots. Unfortunately for Alan, his girlfriend, Masami, committed her suicide there and she’s now on a vengeful mission to ruin his life! Aokigahara forest already has a rather sordid history, which The Suicide Forest utilises to its full effect in this story about angry spirits seeking revenge. I found that there was a bit of a problem with the pacing of the story, which seemed to move in fits and starts at times. However, I think that El Torres does an admirable job of imparting information about the necessary lore without drowning the reader in it. I also like his characterisation of Ryoko, who nicely gaps the bridge between modern Japan and its mythology. In fact, I think she’s the most filled-out character in the story – and I’m always a sucker for a strong female lead. Hernandez’s art does a good job of evoking traditional Japanese art (for my layman’s perspective, at least! ), and his use of a muted colour palette with the occasional pop of bright red or blue conveys the dark, emotional tone of the story. In a lot of ways, The Suicide Forest follows the same patterns as a Japanese horror movie would. So, if these types of movies appeal to you, The Suicide Forest probably will, too.